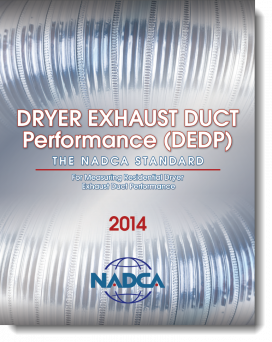 The Dryer Exhaust Duct Performance (DEDP) Standard is a detailed checklist of performance measurements designed to ensure a residential single-dryer exhaust duct system is operating properly and efficiently. 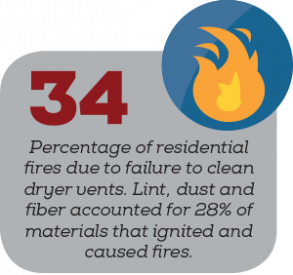 Inform customers of conditions that may be impacting their dryer's venting performance. Are You a NADCA Member? Who Should Use the DEDP? 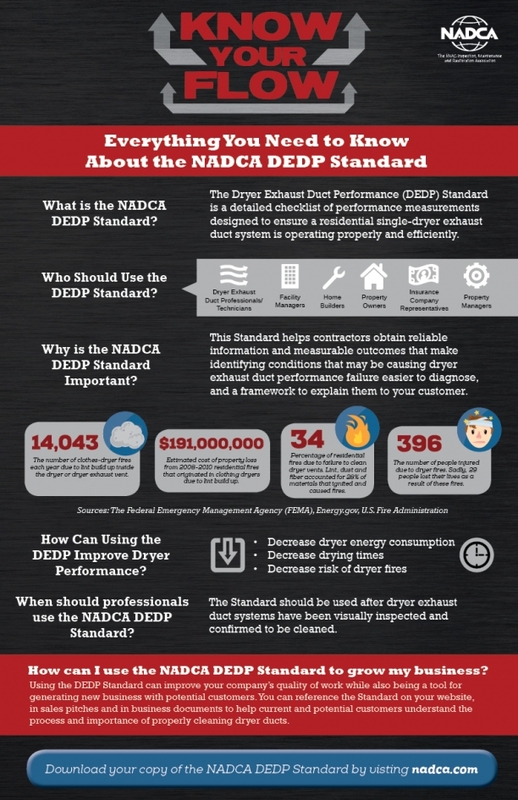 Why Follow the DEDP Standard? Using the DEDP Standard can improve your company’s quality of work while also being a tool for generating new business with potential customers. The National Air Duct Cleaners Association (NADCA) is a not-for-profit trade association that serves the HVAC inspection, cleaning and restoration industry. With more than 1,200 member companies from more than 20 countries, NADCA serves as the focal point of the global HVAC cleaning industry.